THE AIRPORT OF ALVEDRO at Acoruña is located about 8km from the city and is managed by Aena. There are direct flights from Madrid, Barcelona, Lisbon and Bilbao. The code for this airport is LCG and it serves Galicia. Around the airport you will find the AP-9 toll motorway linking A Coruña with Santiago de Compostela, Pontevedra, Vigo and Tuy, and the N-550, between A Coruña and Santiago. The six-hundred-metre airport slip road is accessed from the N-550, direction Culleredo. Inside the airport you will find cafeterias and shops. There are 3 ATMs and WiFi access. Divers multi-shop has most of the things you might need. It is located on P0. The deli on P1 has a good selection of foods and snacks. There is a business lounge at La Coruña airport, located on the upper floor of the terminal. There is just one terminal at La Coruña airport. When you arrive you will find three baggage carousels. Your flight will be clearly displayed on the screen next to the relevant belt. After caliming your baggage make your way to the main arrivals hall and follow sings for buses, taxis and car hire companies. In the departures area there are 10 check-in desks. After checking in you can make your way towards the boarding gates. On the ground floor you will find gates 1 and 2 and on the upper floor, gates 3 and 4. Service run by ASICASA which joins A Coruña (Puerta Real) with the airport, with stops in Casino, Plaza de Orense, Avenida A. Molina, Alcampo, Portazgo, Corveira and Vilaboa. On working days, both from A Coruña and from the airport, buses run from 7.15 am to 9.45 pm every half hour. On Saturdays they leave from A Coruña every hour from 7.30 am to 10.30 pm, and from the airport from 8.00 am to 10.00 pm also every hour. On Sundays and bank-holidays they leave every hour, from A Coruña from 8.30 am to 10.30 pm, and from the airport from 9.00 am to 10.00 pm. At La Coruña airport you will find Iberia Airlines, TAP Portugal, Spanair, Clickair and Vueling. The temporary P3 parking is located just 700 metres from the terminal, whilst work is being carried out on P1. There is a free shuttle bus to the terminal. When finished the T1 car park will cater for 2,200 cars on four floors. Parking starts at €0.42 for the first 30 minutes. The next 30 minutes costs €1.06 then following hours are €0.98. 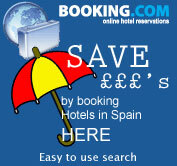 The maximum daily rate is €8.60. There are several large and reliable companies offering car hire at La Coruña airport. There are many quality hotels within a short distance of La Coruna airport. The best selection can be found here.